We are in the age of Battle Royale games, no doubt about that. With PUBG and Fortnite heavily popularizing the genre, it was only a matter of time before it hit Virtual Reality. While Standout has been out in Early Access for almost a year, it receives regular updates, averaging around 1-2 every month since EA release. It was made by the development team raptor lab, which has already released 3 other games in VR with all mostly positive ratings. According to the devs, the game is projected to be in early access for 10-12 months, which puts it at leaving early access between October – December 2018 if they are still on track. The price currently on Steam is listed as $24.99 and is available for Oculus or Vive. “We want the feedback of the community to improve the game further and fix the last bugs. Stand Out is the ultimate fight for your life. You will be parachuted on a wide island and you will have to explore your surroundings to find weapons and equipment to fight for your survival. 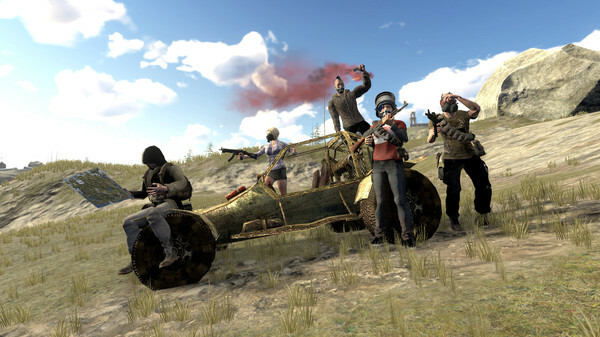 Use vehicles to move faster and keep an eye on the deadly barrier that shrinks the battleground during the game and forces the players to murder each other. Only one will remain. We designed the game to be the ultimate VR fighting competition. It features a wide choice of weapons fitting all fighting styles, from blades to sniper rifles. The 400 hectares wide map offers epic combat situations in forests, plains, abandoned towns, on an airport, a nuclear site and many more. You will have to crawl through trenches to avoid enemy fire, climb up ruins to get a clear line of sight, chase your opponents in furious gunfights between motorcycles and cars on steep mountain roads. You will have to do whatever it takes to win this merciless fight. Die, learn, and improve to finally be the last man standing.